If you want to add value to your home or speed up a sale that’s dragging, the best place to start is by sprucing-up your living room. That’s according to a study we conducted in October that included a sample of over 1,000 house hunters that browsed property listings on HouseSimple.com. This should come as a pleasant surprise to anyone contemplating an expensive kitchen and bathroom renovation before selling their house online. In both three-bedroom and one-bedroom properties, the living room was the most looked-at room, with features such as L-shaped sofas, coffee tables and workspaces proving popular amongst house hunters. 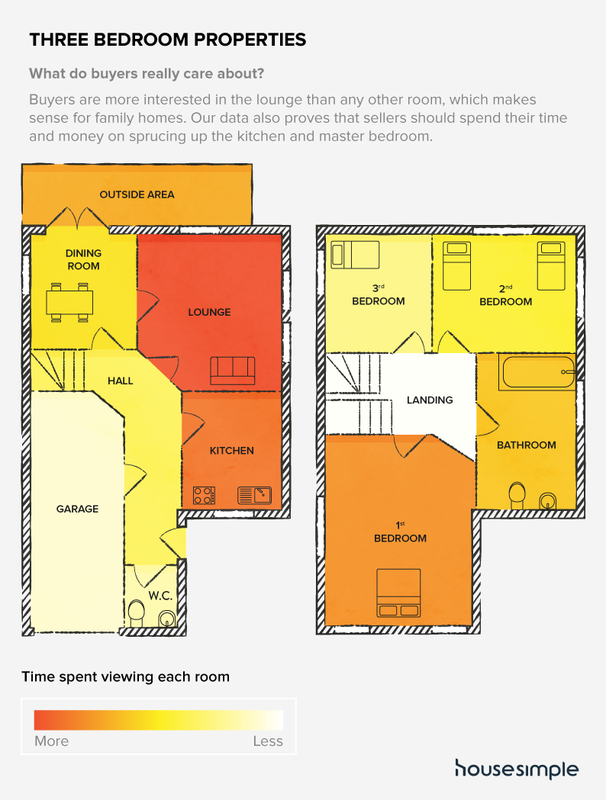 The study found that in a three-bedroom house, house hunters typically spend 1.5 times longer looking at the living room – or lounge – than the bathroom, although the kitchen receives only marginally less attention than the living room. The kitchen is the second most looked-at room in a three-bedroom followed by the master bedroom and the bathroom. 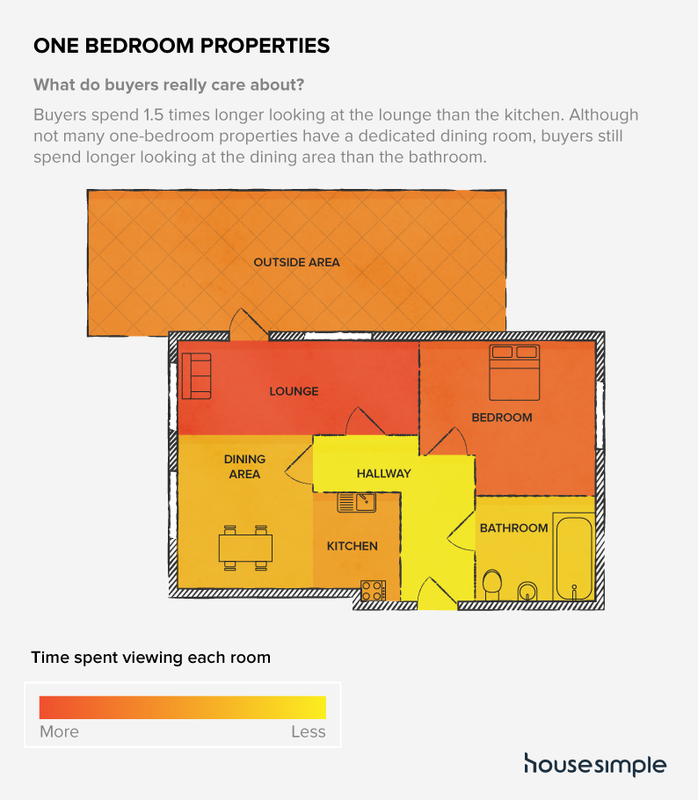 However, we found that buyers actually spend longer looking at the garden than the bathroom. For one-bedroom properties, the lounge is just as important, but the next most attention-worthy room is the bedroom, rather than the kitchen. In fact, house hunters browsing one-bedroom properties typically spend 1.5 times longer looking at the living room than the kitchen. Few owners of one-bedroom flats are lucky enough to have a dining room, but a dining area is very important if you want to extract maximum value from your home – so make sure your dining table is tidy before a viewing and do what you can to separate it from your lounge or kitchen area. Perhaps the biggest surprise from the study was that no matter the size of the home, the outside area in a property – whether that’s a front garden, back garden, patio or balcony – is generally a bigger deal breaker than the bathroom, which is as good a reason as any to invest in some plants and tasteful garden furniture.